“I’ve battled with anxiety and depression for nearly 5 years now. I remember my first panic attack like it was yesterday, it was the summer of 2013 in church and my parents had left me for the first time, I know most 18 year old’s dream, house parties and freedom! But for me it wasn’t, it was just the beginning of my journey with mental health. I was sat in church singing a song and I felt a bit sick, hot and not myself. I told myself I would be okay and it would pass. It didn’t before I knew it I had passed out on the floor and was having a panic attack. I didn’t know I was having a panic attack at the time I thought there was something seriously wrong with me and I was dying. My pastor’s wife calmed me down and reassured me that I was okay. I came away thinking, ‘oh, maybe I’m not well, that’s why it happened and I just panicked for a while.’ But it wasn’t. After many episodes a friend recommend that I go see my GP and get some advice. I sat there talking to my doctor about my symptoms and she asked me to fill out a questionnaire for anxiety and depression. It came back that I had anxiety and honestly I didn’t take it seriously. I thought everything would be okay in a few weeks and I can just carry on like normal. Well that wasn’t the case, I tried so hard to ignore my anxiety but turns out this was just the beginning. After trying to battle my anxiety by myself for a couple of years it all got too much for me and I could no longer manage. I felt defeated and wanted a magic wand to make everything okay again. I went back to my GP and she made me fill out another questionnaire for anxiety and depression. That’s when it hit me, when she said the words “you’ve got anxiety and depression” – these words hit me hard. I didn’t know how to manage that information. Yet again I went along with I would be okay but I wasn’t. After finally admitting I wasn’t okay my dad found me a therapist and honestly it’s the best thing I have done for me! I finally felt like I had this and I would be okay in no time. Well last year everything yet again got too much for me and I went back to my GP. I sat there telling her how I was going to therapy and how I saw a therapist and a homeopathic therapist who gave me medication, why wasn’t this working? I had hit rock bottom. After talking things through with my GP, we decided to stop the homeopathic medication and try Citalopram. I now take Citalopram and still go to therapy. It hasn’t been easy to find what helps me and it took time, but now I have found something that helps me, I feel I can manage my mental health a lot better. I don’t always get things right and I am still learning but that’s okay! One piece of advice my therapist told me was, “it’s okay not to be okay” and I try to remember that. As difficult as this journey has been, I’m glad I am on it because I have grown into the young woman I am today and it’s given me a passion to help others who battle with mental health. I want to speak up about mental health and take down the stigmas attached! This is one of the reasons I do my blogs – to share my journey with others and educate others on mental health. Everyone’s journey is different and everyone manages their mental health differently but some things that have helped me is seeing my therapist, having me time e.g. getting my nails done or reading a book in my room. I learned to do breathing exercise so if I do feel anxious I’m able to manage my breathing and calm myself down. I read a book by Fearne Cotton called ‘Happy’, where she talks about her journey with depression and shares her close friends’ and family’s journeys throughout the book. I loved reading this book as I could relate to so much and it reminded me I wasn’t alone on this journey which I often forget! But one of the things I found really helpful was the exercises she had throughout the book that you can act out or fill out. Some of the exercises I had done in therapy already but it made me practice them which I found so helpful! 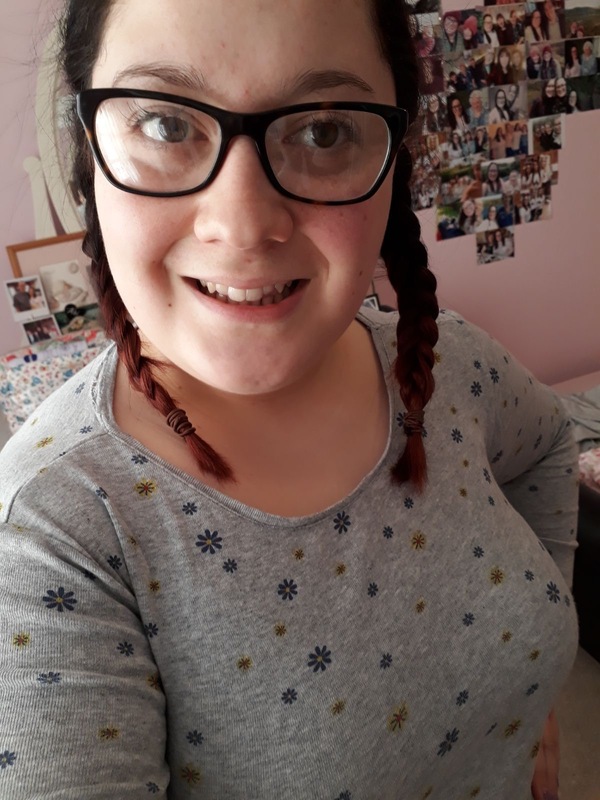 You can follow Abi’s journey on her blog. Hi Abi i am sorry to hear of how hard it was for you in dealing with anxiety, i myself live with anxiety and depression. However i am glad to hear that you are doing better and you want to help people going through the same thing! For me volunteering is what always helped me because it distracted me from the feelings I was experiencing and developed into a passion for others. I pursued my passion for wanting to help people and share my story by writing a book. Its called Creative Mind a Diary of Teenage Mental Illness its on Amazon! I wanna help people and decrease stigma around mental illness as well!